Basking in the fanfare over its all-day breakfast menu, McDonald's is pushing its operational limits by testing the addition of another morning favorite to the lineup: the McGriddle. The world's biggest burger chain plans to start offering an expanded all-day breakfast menu that adds McGriddle and biscuit sandwiches in 72 restaurants in Tulsa, Oklahoma starting Feb. 1. The test comes after customers complained about the absence of the McGriddle when McDonald's launched a limited all-day breakfast menu in October. McDonald's expects the test to last for two to three months before deciding how to proceed. McDonald's is riding high from its biggest quarterly U.S. sales jump in nearly four years. The Oak Brook, Illinois company said this week that sales rose 5.7 percent in the last three months of year, boosted by all-day breakfast menu and unseasonably warm weather. Now, McDonald's restaurants in Tulsa will try offering the more expansive breakfast menu around the clock. Currently, restaurants offer breakfast sandwiches made with either biscuits or English muffins, depending on regional preferences. About 80 percent offer "McMuffin" sandwiches, with some areas in the south offering biscuits. 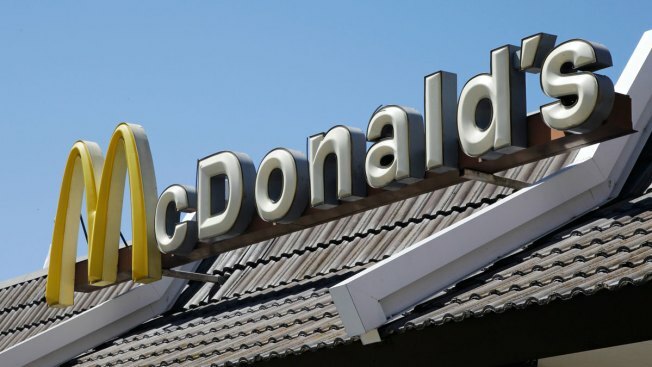 The addition of McGriddles and biscuits in the afternoon could prove to be too much of a strain, especially at a time when McDonald's has said it's trying to simplify operations to improve order accuracy and speed. The syrupy pancake buns for McGriddles and biscuits would need to be warmed up in ovens, which are also used to heat up apple pies, cookies and mozzarella sticks during lunch hours, said LeAnn Richards, a McDonald's franchisee who led a task force on all-day breakfast. McGriddles and biscuit sandwiches are also made with a frozen egg patty, instead of the cracked egg used in McMuffins. That means franchisees — who already had to buy new equipment to offer all-day breakfast — would need to further juggle grill and oven space for an expanded menu. "It's too premature to talk about next steps," said Deborah Wahl, chief marketing officer for McDonald's U.S.
McDonald's says franchisees in Kansas City also started offering a Sausage McGriddle last month in response to demand. But those restaurants aren't offering the sandwich with eggs, or biscuit sandwiches. Despite McDonald's recent sales jump, it's still not clear exactly how all-day breakfast is benefiting the chain and whether the effects will last. The company did not say how much of the increase was from an uptick in customer visits, versus factors likes price hikes or people adding extras onto their orders. Either way, McDonald's turnaround push is far from over. The company's U.S. customer visits fell 3 percent last year, following a 4.1 percent drop in 2014.